Should U.N. stay out of Thailand dispute? (CNN) -- Thai and Cambodian forces briefly exchanged fire early Tuesday in an ongoing dispute over an ancient Hindu temple on the border, according to a Thai military official. The border skirmish started after members of the Cambodian military threw hand grenades, said to Col. Sansern Kaewkumnerd, a Thai military spokesman. The Thai army responded with gunfire, he said. One Thai soldier was seriously injured. 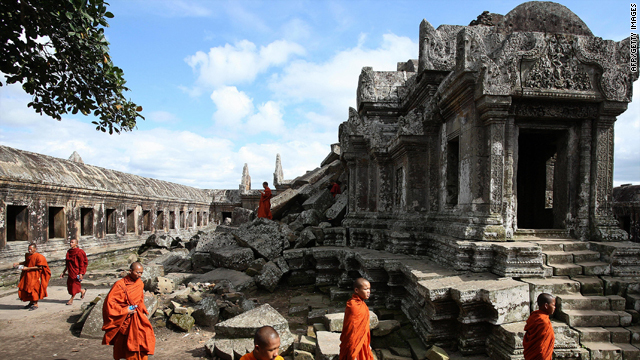 On Monday, the U.N. Security Council called for a truce between the two Asian nations and urged them to begin a dialogue to end their dispute over Preah Vihear Temple.